Straight up, I thought Batman Day was going to happen later this month, so I was surprised when I visited my favorite comic shop this week and discovered that Batman Day, like Batman does, had snuck up on me. But I’d made a promise to write about Batman, so here it is. This post might seem a bit random and rambly, but so do the ones I plan out months in advance, to be honest. 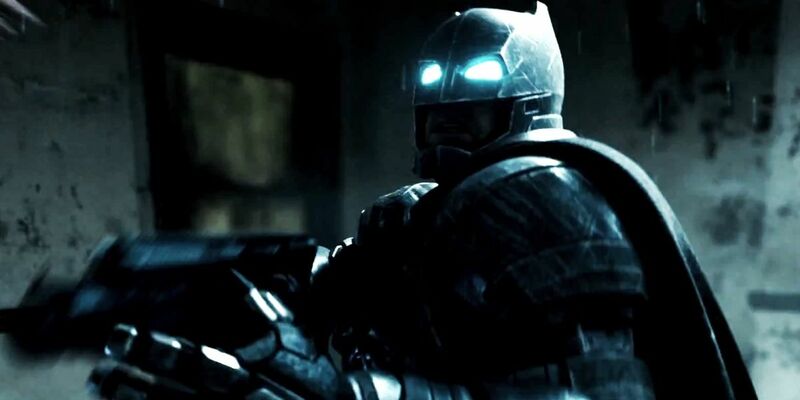 Ben Affleck’s Batman, heavily inspired by Frank Miller’s transformative* Dark Knight graphic novels, made his debut in Batman v Superman: Dawn of Justice, as well as appearing in Deadshot’s and Harley Quinn’s backstories in the Suicide Squad. Straight up, neither were great movies. I didn’t dislike Suicide Squad as much as BvS, largely because I think the stakes were lower for the DC cinematic universe if Suicide Squad flopped, and it didn’t really matter even if it was wildly successful, since so much seemed to be riding on Batman v Superman for setting the stage for the upcoming Justice League movie. It did feature problematic Batman events. Don’t we have enough violence against women? Batman punching a lady? That’s so out of character! I’m sympathetic to the first statement, which I think is a valid point for discussion. Women are often the targets of violence in the comics, often because of their association with the male protagonists. That might be a symptom of storytelling in general in the crime genre, so I don’t necessarily consider Batman in Suicide Squad to be an egregious example. In Batman’s defense, it seemed like his options were to knock out the knife-wielding criminally-insane woman, or let her drown. The choice Batman made doesn’t seem surprising. I’ve heard a variant on the complaint, that is less critical of the scene than how it was reacted to by audiences. One of the podcasters I listen to was dismayed that the audience she was watching the movie with laughed when Batman punches Harley. I don’t remember if I laughed, but there was certainly a slapstick-like essence to the scene, with the playing-possum Harley suddenly lurching at Batman with a knife while trapped in a sinking car, eyes filled with joyful madness and a suicidal grim. 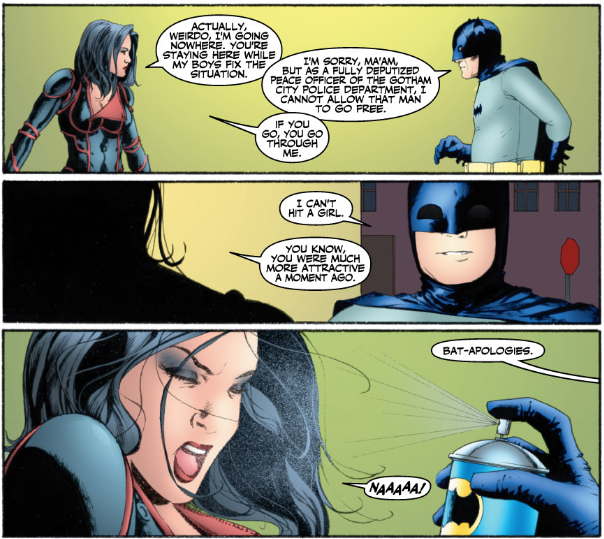 Batman immediately punches her and her face goes slack. It’s kind of funny. Maybe in an uncomfortable way, but maybe I’m just laying that on in hindsight. I asked my teenage daughter (who thought Suicide Squad was a great movie because she doesn’t know any better) about the scene where Batman knocks out Harley Quinn. Me: Hey, remember in Suicide Squad when Batman and Harley Quinn were underwater and Batman knocks her out? Her: (smiling) That was funny. I have more contrary opinion on the second complaint, about Batman punching Quinn being a bad characterization of Batman. Crimefighting in the comics is serious business. In general, Batman might be less concerned with pulling his punches on dudes, but he won’t take off the table reasonable force against female opponents. Although to be fair, people with this complaint might be overly attached to the Adam West 60s version of Batman. For me, the more serious problem with Batman’s portrayal in Suicide Squad did not happen during the Harley Quinn backstory, but during the Deadshot backstory. 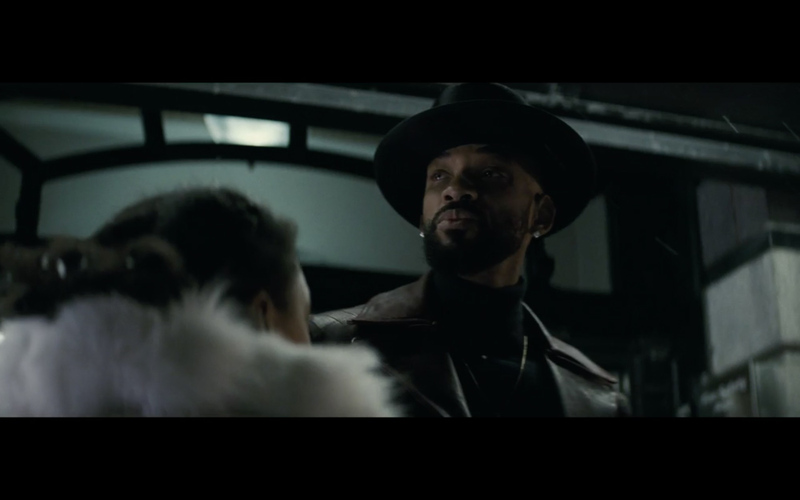 Floyd Lawton aka Deadshot (played by Will Smith), after scoring a major amount of money for killing a police informant, is enjoying some quality time with his daughter. He and his little girl stroll through an alleyway, you know, one of those things that you do in a crime-ridden city at night. Batman has recieved a tip from Amanda Waller about Deadshot, and decides to take that moment to arrest Lawton. The movie implies that Deadshot might have killed Batman had Lawton’s little girl not intervened. I’ll ignore that ridiculous amount of fiction, since there’s a much bigger problem. Batman, whose parents were famously killed in front of him in an alleyway at night, decides to choose to arrest an extremely dangerous gun-centric villain in an alleyway. At night. In front of the criminal’s daughter. Deadshot: In the unlikely event that I get killed in this alley, I want you to avenge me. And clear my browser history. Daughter: You are so weird. I think I’d just move on. I have a lot of potential bat-topics that I could explore, but I think I can stop now in this post instead of going on and on. Maybe I’ll post stuff later this week, since DC Comics is now saying that Batman Day is lasting a week. Time is weird. And hard for some people, I guess. 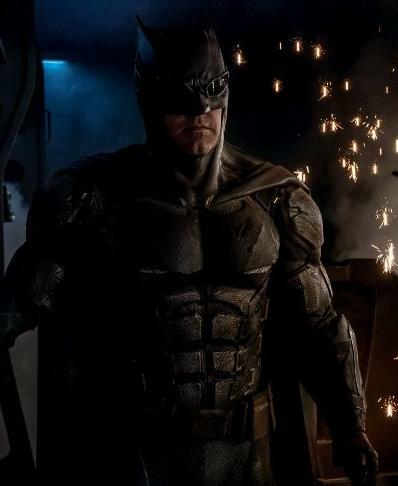 Because I’m crabby, I will say that I’m giving some stink-eye in regards to the released shots of Batman’s tactical bat-suit from next year’s Justice League movie. Anyone that knows me knows I’m not a fan of a heavily-armored Batman. It’s tactical, as opposed to the usual comfy hanging-around-the-cave-not-expecting-to-fight-crime batsuit. I mean, if one is going to design a Batman costume with obvious lenses over his eyes, one might as well make the lenses white, so there can be a thematic comic book aspect of Batman’s cowl. Like there always should be. Not being able to see Batman’s eyes was the best part of the armored batsuit in Batman v Superman. Batman: Ironically, I’m blind as a bat with these flashlights obscuring my vision. At some point, I’ll expand on those. * When I say Miller’s Dark Knight books are transformative, I don’t necessarily mean in a good way. But it had a major influence on the character of Batman from then on. Images are from Batman v Superman: Dawn of Justice, and Suicide Squad, both properties of Warner Brothers. 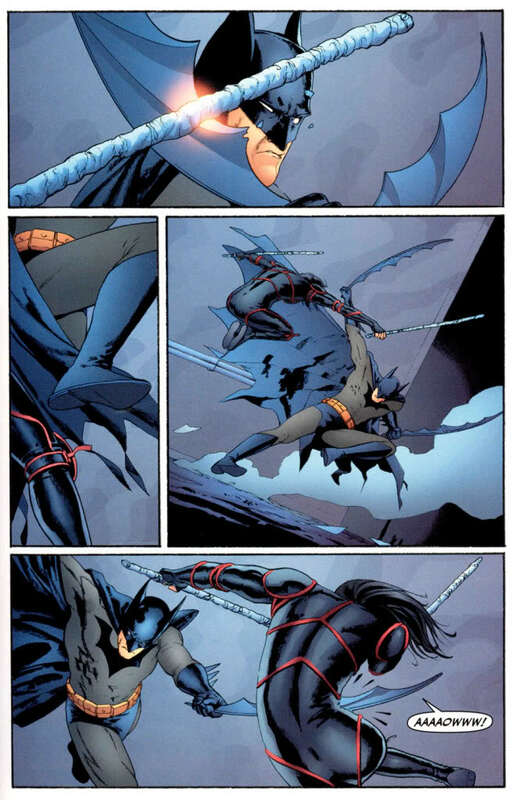 Images of Batman (in two different incarnations) fighting Jakita Wagner of Planetary are from the Planetary crossover with DC comics, featuring Batman. Obviously. 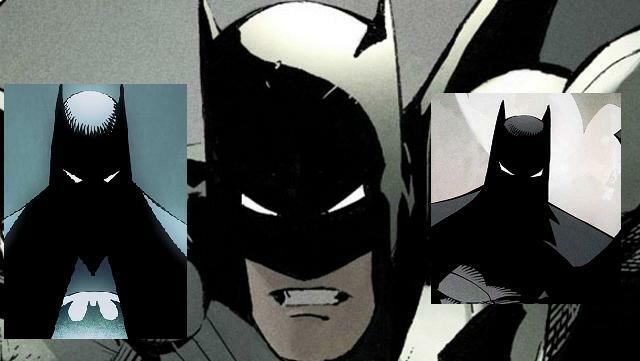 Collage of Batman cowls are from various covers of Batman comics, again all property of DC. 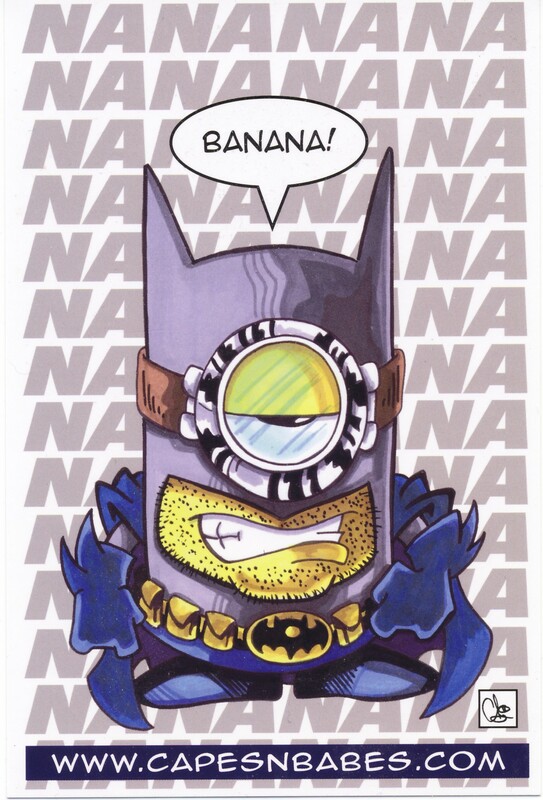 That fantastic image of the Bat-Minion was from a promotional postcard I picked up in 2015 from the Wizard World Comic-Con in Philadelphia. The artwork is from Chris Flick of www.capesnbabes.com – you should check out his work. I make no claims on any of the images, but some claims on the text here. So there. That tactical suit looks like NiteOwl from Watchmen. Zack just can’t leave that film behind. It looks almost exactly like it. The Google informed me that Superman Day is June 12 so you have plenty of time to gather fodder for the epic rant! I’ll start planning now. Thank you for the info! I think I am okay with Batman hitting a bad lady… BTW, the Emmys are on tonight with Game of Thrones up for many awards. Thanks for the heads up on the Emmys. I do want to watch them, but I better get my DVR set. Hope you and yours are having a nice weekend, Khaleesi. Thanks for liking my GoT post. Amateur compared to you lol. Now I know where to turn for any information I want about the subject. Never read the books but have ordered the first one from my local library. There is a Batman Day? How did I not know this? Ever since Adam West played the part Batman has always been my favourite hero, along with briefly The Green Hornet back in the day when Kato was played by Bruce Lee. I didn’t know about Batman day until last year, so don’t feel too bad. I hope you enjoy A Game of Thrones from the library, it really expands nicely on the show. And thumbs up on mentioning Bruce Lee as Kato, one of the great things about the Green Hornet! I didn’t realize there was a Batman Day either until i read your post! You bring up some interesting issues. I haven’t seen the movie, but these are complicated topics. I mean, if female characters are going to participate in superhero dramas, it seems patronizing for them to not be able to get into fights. On the other, if a bunch of woman-punching scenes happen to come up in these films, you have to start wondering if there’s wish-fulfillment going on. I appreciate hearing your take on things, as always. With more female-led creative teams making comics and writing great stories with characters like Captain Marvel (making her cinematic debut next year (or maybe the next?) with Oscar winner Brie Larson as the Captain – your daughters will have more positive superhero content available to them. Like I said, I haven’t seen the movie, which might change my take. But it can be a matter of context–if the ONLY women involved in the action are bad or get punched in the face, it feels different than when it’s a particular character. I’m guessing as more female superheroes get involved, we won’t be as worried about specific ones… they’ll just be a detail in the larger picture. So she grudgingly went to see The Force Awakens. And came out a Jedi. She loves Rey so much now. Just thinks Daisy Ridley is just the best. It’s a good time to be geeky and have daughters to share that experience with.